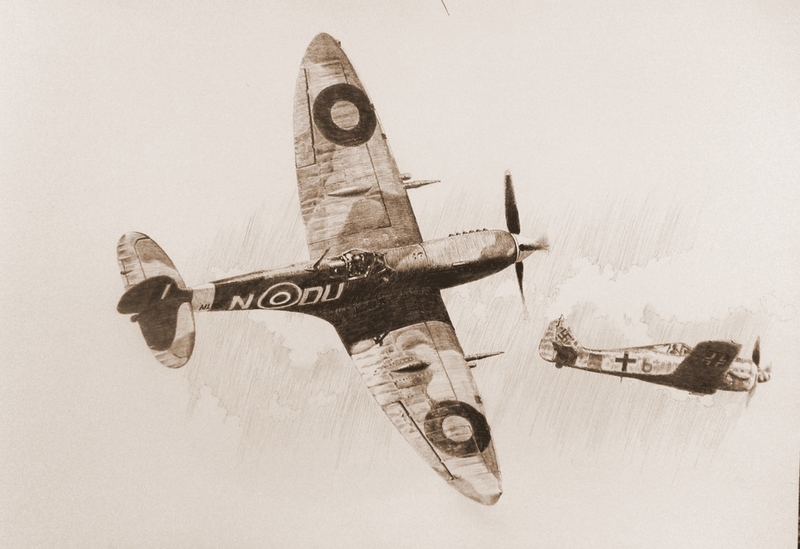 Czech aviation artist Pavel Rampír sent us his newest artwork, presenting a Spitfire Mk. IXC serial no. ML296 DU-N of No. 312. (Czechoslovak) Squadron, with F/Lt Otto Smik at the controls in combat with a Focke-Wulf Fw 190 over France.